For this first day of #AMonthofFaves we're taking a look at our reading year in general. Discuss whatever moves you, but don't forget to visit the other two hosts of this event: Tanya Patrice from Girlxoxo.com and Tamara from TravelingWithT.com! What a reading year indeed. This seems like the year of the slump for myself and for many other bloggers I know. At times I had trouble sitting down to read at all, though I know that's more of a "too-much-going-on" thing than a lack of desire to read. 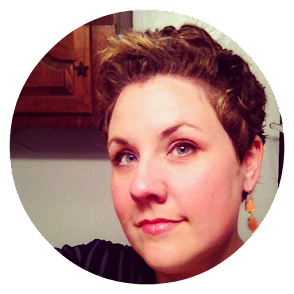 With a kiddo in kindergarten, some job woes, and online teaching, not to mention extracurricular writing, I found myself bookless far more than I would've liked. However, I still managed to read some amazing, memorable, meaningful books this year. Rather than reading steadily, I found that on the weekends that weren't so busy I might gulp down one, two, or even three books. It was truly a year of fits and starts, but if it's reading, I'll take it. There were some projects that really helped me get back into the swing of reading. Specifically, the #15in31 challenge I posed for myself in October was amazing. I managed to read 12 books in 31 days which is A LOT more than I would normally read. I suspect I'll issue more of these challenges to myself going forward. Basically, it's just a great jolt of reading mojo. On the whole, this was a year of free range reading. Whatever struck my fancy was what I rolled with: comics, literary fiction, memoir, travel, even business. There's a little bit of everything, and I like that. How has 2015 shaped up for you? I've been hearing the same from bloggers as well...and some of my faves took long hiatuses :( Glad some of the challenges got you back in the game. I'll be joining in on A Month of Faves tomorrow! I had a tough time reading this year too - but seriously, discovering I like reading on my phone has had an awesome impact. Mostly when I should be doing other things ... but never mind that! Different mediums - physical books, eBooks and audiobooks is what really helps me come out of my slump. Sometimes, like right now, I just don't feel like listening to an audiobook - and eBooks have steppedup. Sometimes I just don't feel like looking at a screen and physical books or audiobooks do it for me. I've never really thought I was in a slump but I sure have had trouble focusing this year. I'm not sure if it's because of my eyes or if I have too much going on. It was a fun year! Can't wait to see everyone's favorite this month. I LOVE focusing on all the joy! I had the opposite experience. Aside from those 1-2 months of reading 3 or fewer books, I actually read more this year than I have in a long time. I think it's because I'm finally settling into my job and getting back into the joy of reading. Can't wait to read everyone's posts! Andi, I love that you didn't plan out your reading too much; it can feel a little overwhelming, at times, and I think this is a great idea! Thanks so much for co-hosting this event; I love the topics and I'm looking forward to participating more this month. Thanks for co-hosting! 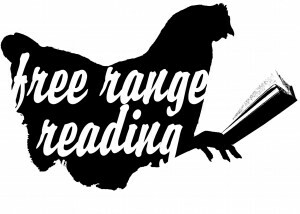 Free range reading is the best! :) My reading and logging were pretty sporadic the first half of the year, but the second half has been wonderful. My reading is doing fine ... my blogging, not so much. It would be nice to have both going on at the same time! Little self-challenges are a good idea, aren't they? I'm with you - keep finding myself bogged down with reading, or rather the lack of it. Really thinking about how I want to read next year that might help - and hoping I can stick to it better this year!